I was asked to perform a keynote that spoke to issues of energy security, risk, and futures. This keynote was given at ‘Translations of Security’ an inspiring, interdisciplinary conference held at Center for Advanced Security Theory (CAST), University of Copenhagen, May 2014. 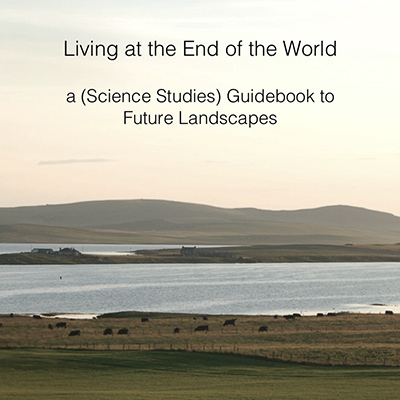 The presentation was called Living at the End of the World: a (Science Studies) Guidebook to Future Landscapes. In this, I reflect on how Orkney might be thought of by some as at the end of the world but, instead, is better understood as an example of a place that is the future, a future of extreme weather and public engagement in energy infrastructures, which is only talked about, and hoped for, in energy policy made elsewhere. *Photograph courtesy Aaron Watson, Monumental.